Spinning from the boat in the sea, is a very exciting technique and very demanding. Standing on the deck of your boat and trying different lures, is equally technical than doing the same thing in a port or on the rocks! 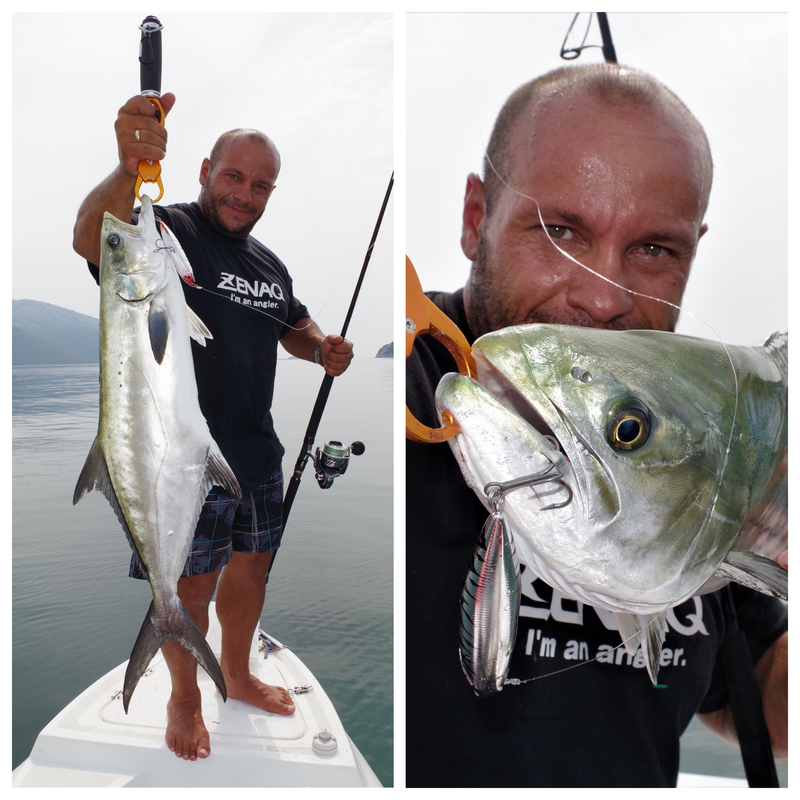 The main problem is that there are some strong contradictions when you casting lures offshore! 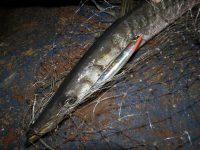 You have all the room needed to use a rod as long as you want but when the captured fish gets close, the risk of breaking the rod by simply run under the boat is extremely high. On another occasion when a fish runs very deep and vertical, with a long rod is almost impossible to handle and pull it properly. 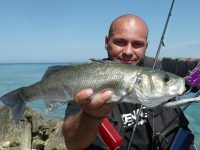 For these reasons shorter rods are the ones that are focused in this kind of fishing. On the other hand short rods go hand to hand with a much shorter casting ability. But still we really need as many meters we can get on our casting! A long distance will help us to reach the hunting packs of fish on the surface without getting very close and stress them, also it will allow us to cast close to the shore or a rock from far away without aware the fish. But as we said before, unfortunately shorter rods cannot provide us these qualities. And there is more! Casting lures from the boat, can get you in trouble by simply deal with a monster fish! In this situation you need lifting power! But did you know that giving more lifting power to a rod, the casting ability is reduced? And the more elasticity and casting ability you provide to a rod, lifting power and strength are reduced? These are the general rules that all companies follow! Or at least where until now! ZENAQ loves to break down the rules. But this was a hard task to accomplish! So a new project came up! 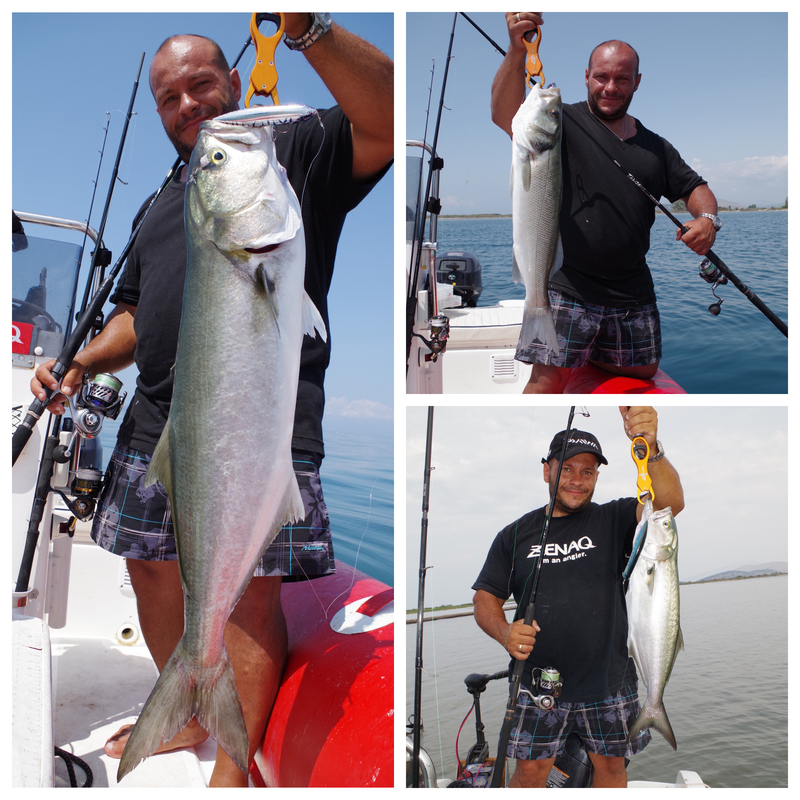 This project was to give the offshore casting angler a rod with no compromises. A rod that could combine perfectly all the contradictions that so far where the obstacles for the creation of the perfect offshore casting rod! The blank “Maestros” of ZENAQ after a lot of experimentation and designing, found the way! 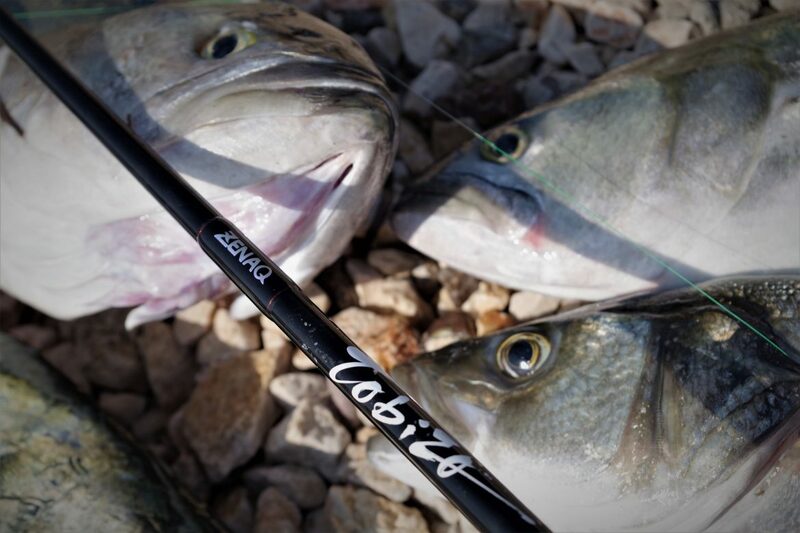 With the unique and innovative carbon process of ZENAQ, and with the use of the very recently appeared grade of Carbon TORAYCA® T1100Gwith Nanoalloy Technology, the contradictions stepped aside and the perfect rod was born! So what are TOBIZO rods? Rods of different power and lure weight that all have the same basic advantages. Extraordinary casting ability compared with their lengths and amazing pulling and lifting power that is simply more than enough to master even the savage beasts of the sea. Fishing with ZENAQ rods much more than a decade, I’m used to get surprised by new innovations. RG guide system was something that left me breathless in the past but now a new approach of creating a unique blank came to knock me down once more! Soon I had in my hands the new TOBIZO TC80-50G. 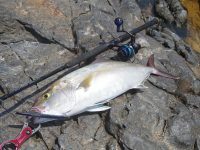 A Short Offshore Lure Casting Rod that was “begging” me to go and try it out! And so I did. Generally being a lover of longer rods, this 8’ feet rod felt in my hands a bit less than I would like it to be. Until my first cast! That was it! I still remember the cast of that DUO Tide Minnow Slim 175 (27gr) that flied away like it does with my 9’ feet“Jawbreaker”. I simply could not believe it! Furthermore, I tried it with other lures like sinking pencils, top waters, jigs and soft lures between 20 to 80gr and found out that this rod in the range of 30 to 70 grams is simply unbeatable! The ultimate balance of elasticity and power in this fast action rod makes it super technical and extremely versatile for offshore lure casting for almost any type of fish! 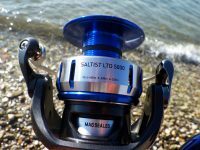 I have to mention that this mode is available with RG Guide system and this by itself means superior line management, explosive casting and amazing feeling of the lure! If you pack all these with the new TOBIZO blanks then you really have a super rod! Targets that this rod could perfectly focus are Bluefish, Mahi Mahi, leerfish, barracudas, big seabass, bonitos, albacores, snappers, groupers and amberjacks and tunies up to 10-15kg. In the hands of the experienced angle,r this rod can do even more and nail even bigger fish, when the opportunity arises. Personally I have used it both with 4000 and 4500 sizes of Daiwas that are equivalent with 6000 and 8000 Shimano sizes but somehow I feel much more comfortable with the 4000 sizes. The balance of this rod is perfect and fishing is simply a pleasure. I tried it out with PE Lines # 2.0 – 3.0 though ZENAQ suggest the use of #3.0 – 4.0 and noticed that for more technical fishing and with the PE #2.0 line, the casting ability exploded even more. Yet the best fit for what I do was the # 2.5 line! If you want to play with the beasts simply go with PE #3.0 and higher but I can assure you that the rod is not very thick and has the ability and sensitivity to work with PE #2.0 and PE #2.5 perfectly! ZENAQ TOBIZO TC80-50G is a very versatile rod capable of using all types of lures and able to work perfectly both to shallow and deeper levels. Ideal for the moderate size fighters of the sea will perform excellent and will give you a unique fishing experience and superior power when needed!